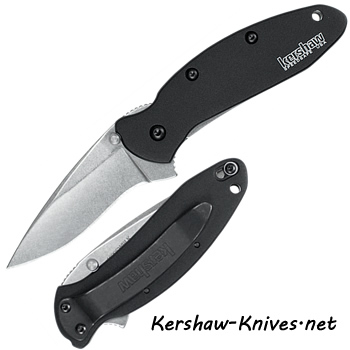 Kershaw Ken Onion Scallion Stonewash Black 1620SWBLK. The classic Scallion has got a few new features now: Black handle and stonewash blade! 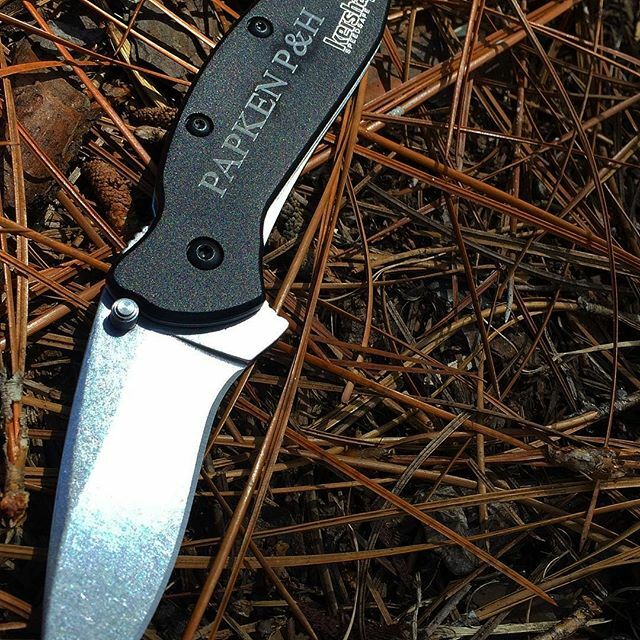 You guys have asked for it and Kershaw has delivered you- the Classic favorites with a contemporary look. Made in the USA. Ken Onion Design. Opens with flipper for Kershaw's Speedsafe Opening. Lanyard hole on the handle. Black pocket clip, one position only. Stonewash finish on the blade, so everyday scratches will not show so badly. Blade is 2.4 inches long and made of 420HC steel. Liner lock system, dual thumb studs.